I think it’s important to make sure we preserve the same things that all the previous owners preserved, and to keep changing with the times. We try to preserve 80 percent and change 20 percent. Today we’ll be visiting a sweets shop on the road to Sensoji Temple called Umezono. It began as a tea house in the Umezono Garden owned by Sensoji Temple. 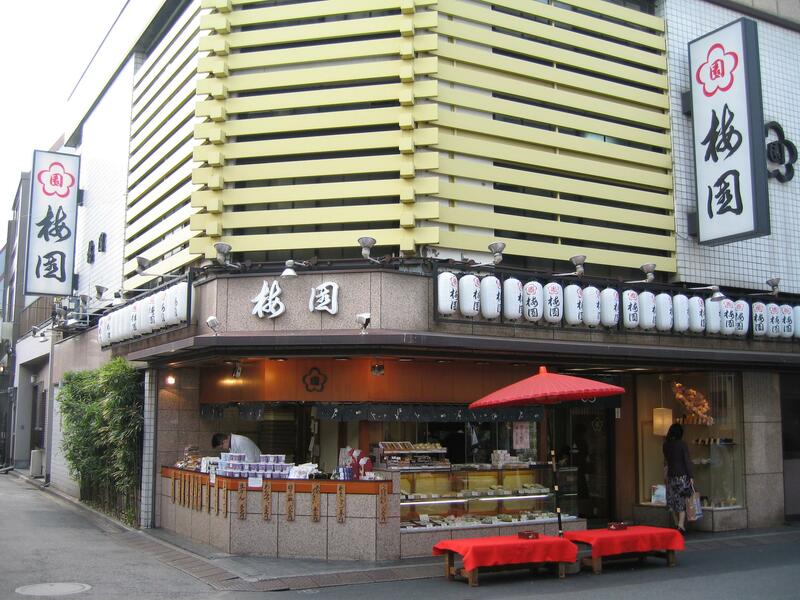 It’s the number one sweets shop in Asakusa! Thayne-san, is today your first time here? A long time ago, I did come here once. There were a lot of sightseers, so it was lively. I think I ate anmitsu. I’m looking forward to my second visit today. Shimizu: Welcome! I’m Takashi Shimizu, the owner of Umezono. I need to ask, does the big water jar in front of the building next door belong to Umezono? Shimizu: Yes. 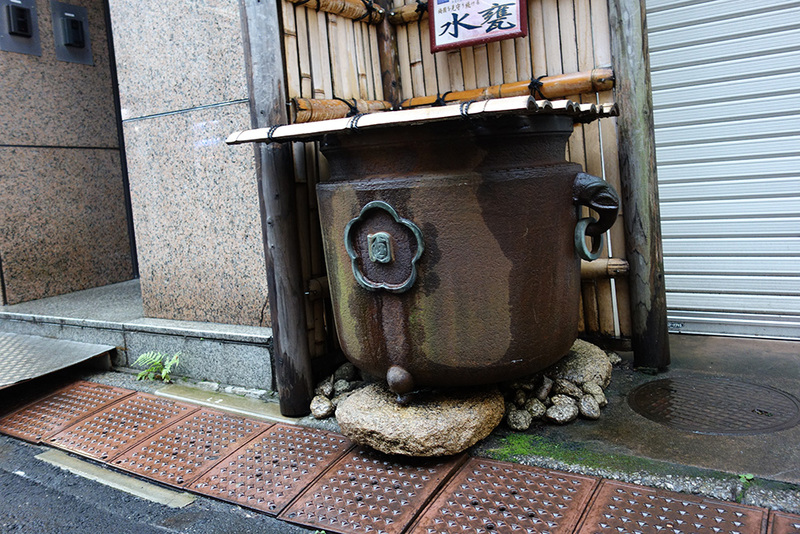 It’s a water jar that survived the bombing of Tokyo in March 1945. All of Asakusa became a sea of flames, and the store was completely burned down. The jar was just sitting by itself in the rubble. It seems like most long-established stores have gone through a lot of difficult times. How many generations of owners have there been including you? Shimizu: I’m the seventh. I inherited the store when my father passed away two years ago, so I’m still new to the business. Was there anything that was challenging or difficult for you because you took over the business at a young age? Shimizu: When my father passed away and I took his place, I was 33, but I was born and raised here. I’ve been helping with production since I was in junior high, and I’ve been a full time employee since I was 18, so there was nothing in particular that I had difficulty with. All the employees gave me their full support too. It’s not just a jobーthe whole company has a warm atmosphere. Does your shop have some kind of policy or mission statement that has been passed down through the generations? Shimizu: There’s not really anything that’s written down, but I think it’s important to make sure we preserve the same things that all the previous owners preserved, and to keep changing with the times. We try to preserve 80 percent and change 20 percent. Shimizu: Yes. Umezono’s most famous product is the awazenzai. It’s a pastry invented by the first owner, so the most important thing is to make sure to preserve the original flavor. That makes sense! I guess you also your get a lot of generational customers, people who came with their parents or grandparents. Shimizu: That’s right. We have customers now who say they remember coming here with their grandparents. Shimizu: Yes. It’s been 160 years since Umezono was established, but times are changing faster than ever. If we don’t innovate and keep up with the times, the shop won’t survive. What kind of new things are you trying to accomplish? Shimizu: One thing is making new products. I want more people to know about Umezono, so I’m always thinking new products for our customers. One thing that has been really popular recently is Kotora. It’s a mini-sized dorayaki. Wow, this is great! It’s just the right size for when you want just a bite. It looks like it would make a great gift too! Shimizu: When we opened an eat-in restaurant in the Edo Market at the international terminal of Haneda Airport, we made sushi-shaped sweets. Sushi-shaped sweets?! Tuna and sea bream? Shimizu: Yes. 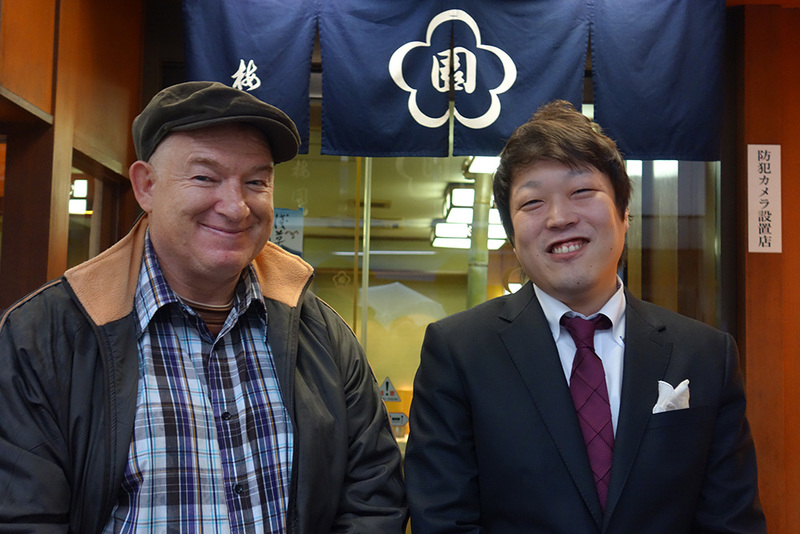 I thought that foreign tourists would enjoy them, but they’ve actually been really popular with Japanese customers as well. It makes a good gift you can buy at the airport before you leave! Shimizu: Another thing we’re trying is opening shops in other locations. We really value the customers who drop by our shop on the way back from visiting Sensoji Temple, but I also want people who aren’t in Asakusa to try our sweets. I realised that we have to get out there. Up until now, we’ve opened shops in big department stores and train stations, but we’ve recently also been opening shops in shopping malls outside of the main cities. That way, you can get new fans from different demographics, such as young families. In a nutshell, what is there about Umezono that you would you like to promote the most? Shimizu: How delicious the azuki bean paste is. You just have to say, “Wow, this is good!” Maybe it’s time to finish up the conversation, and start the tasting. Maybe you should try the awazenzai. I see. The azuki bean paste really is delicious. Is this rough textured mochi made of foxtail millet? Shimizu: Actually, the soft stuff in our awazenzai isn’t foxtail millet, like other awazensai. It’s half-polished common millet. It’s different than rice cake It has a unique stickiness and texture when you bite into it, and a slightly astringent taste. 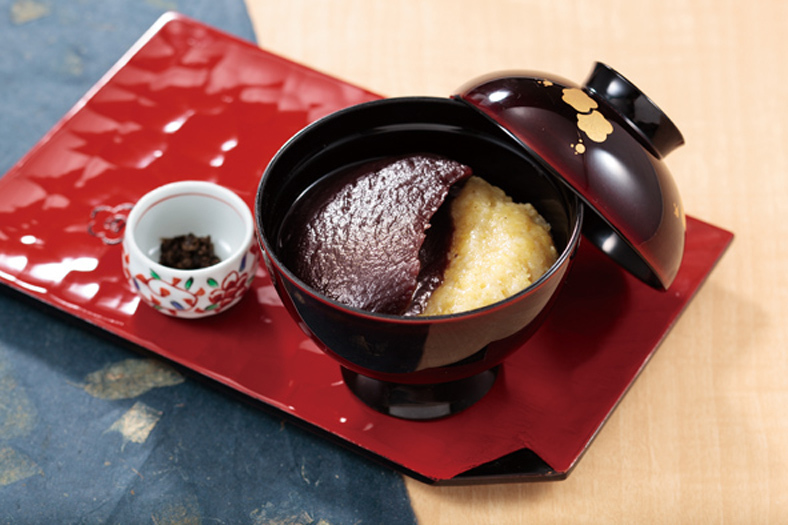 We serve common millet and slow cooked bean paste togetherーthis is the flavor that has been handed down by Umezono. We talked about “preserving” a moment ago, but the tools like the cypress steaming baskets that we steam the millet in and the pot we stew the beans in have been used for generations. Do you ever wonder if it would be easier to use stainless steel pans , or if you could make a lot of money by automating everything and increasing production? Shimizu: If we change the steaming baskets to stainless steel, the flavor will change. So we can’t change them, we don’t even think about it. You’re talking about preserving the 80 percent. I get it.